Love Your Locks Organics Deep Repair Mask is formulated for dehydrated, under-nourished, and damaged hair. Containing Abyssinian Oil, Argan Oil and Keratin to create a deeply nourishing treatment that moisturises and strengthens hair as it restores shine and a healthy appearance to even the most severely parched hair. We recommend our Repair Mask to be used once a week for dry and coloured hair and is great for medium/course hair textures. For best results use with our Moisture Shampoo, Blonde Shampoo or Peppermint Shampoo. MADE FROM Organic Ingredients. Product formulated and packaged in Australia. All of our hair care products are produced free from sulfates, parabens, ethoxylates, paragons, propylene glycol, petrochemical cleansers, silicones, phthalates, DEA and artificial colours. Products not tested on animals. 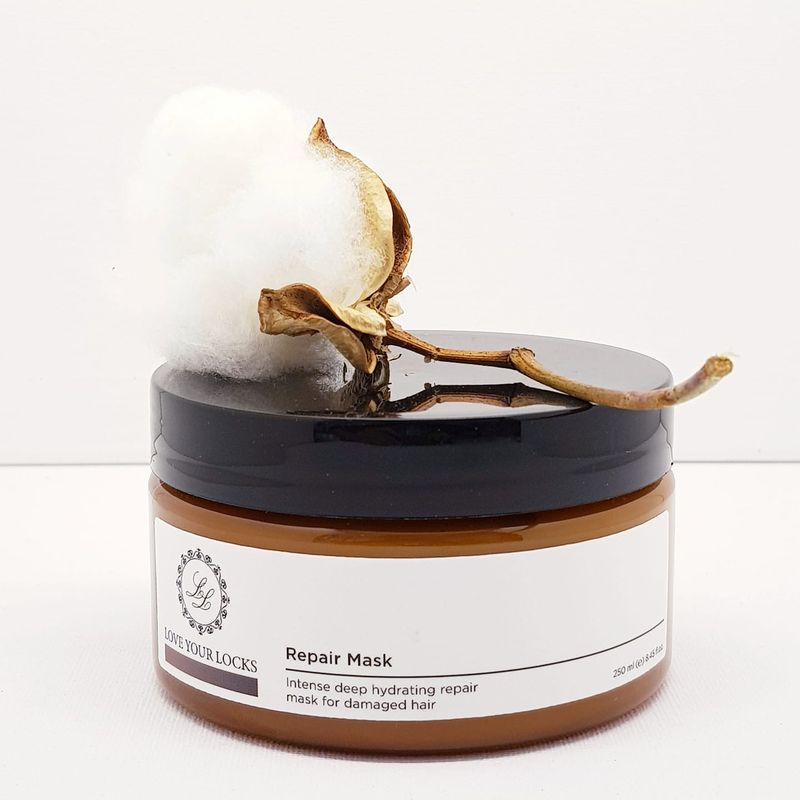 Our Repair Mask is our most intense nourishing organic treatment, it promises to repair and hydrate your hair, with a blend of precious oils it leaves your hair feeling soft and less frizzy.